Should Mass. switch to Atlantic Standard Time? 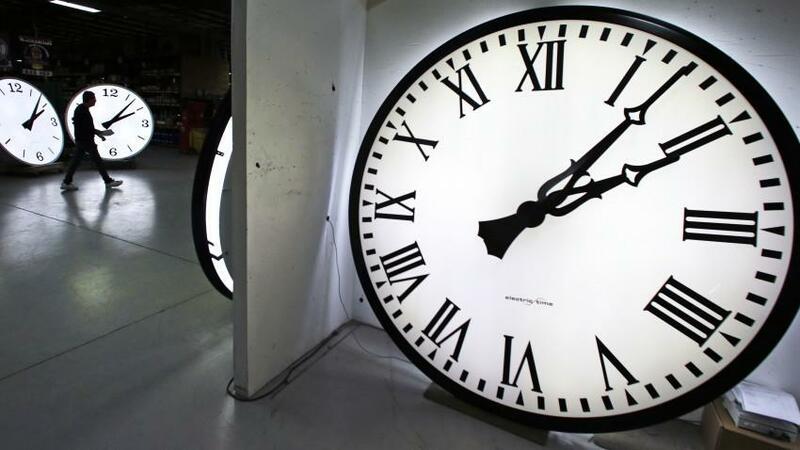 When Governor Charlie Baker signed an economic development bill on Wednesday, the clock started ticking on an unusual project: a task force to study if Massachusetts should leave Eastern Standard Time behind. Tucked in the back of the bill, behind all the earmarks and infrastructure funding, there’s a section establishing a commission to analyze putting the state on Atlantic Standard Time throughout the year, rather than springing forward every March and falling back every November. The goal: to harness the benefits of more sunlight at the end of the day during the gloomy winter months. The commission will be overseen by the House and Senate chairs of the Legislature’s economic development committee. The new panel needs to convene for the first time by Nov. 1 and report back to the Legislature by July 31, and it must focus on the impact of a potential time-zone shift on the regional economy, education, public health, transportation, and energy consumption. The measure’s inclusion in the broader economic development bill came as a surprise to many who followed the bill’s progress — including the original author, Quincy public health advocate Tom Emswiler. Sunset before 4:15? It doesn’t have to be this way. He came up with the concept after moving to this region from Virginia in 2011 and watched his end-of-day sunlight evaporate. He knew he was moving north, but he didn’t think about the ramifications of moving east, as well. 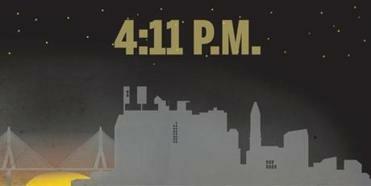 He eventually penned a column for The Boston Globe in 2014, listing some of the potential benefits of extending Atlantic Standard Time, one hour ahead of Eastern Standard Time, through the fall and winter. After all, he argues, we’re already essentially in that time zone for most of the year, through daylight saving time. Emswiler said research shows the jet lag-like loss of an hour of sleep in the spring disrupts sleep and causes accident rates to spike, without commensurate gains in the fall. And sunnier afternoons during the winter could help the state attract and retain young professionals, he said. Schools could start later in the day, allowing children to get more sleep. So last year, Emswiler approached his local senator, John Keenan of Quincy, to introduce language about creating the commission on his behalf. Citizens’ petitions rarely get much further than that. But not this one. The time-zone commission surfaced in the Senate leadership’s version of the economic development bill, and then survived House-Senate negotiations and Baker’s veto review. It’s not clear why this apparently became a Senate priority. Keenan’s office referred calls about this to Emswiler, and other senators involved with the bill couldn’t be reached. Of course, changing time zones doesn’t happen overnight. If legislators continue to push ahead with this concept, it’s possible they would want to see if other New England states would climb on board. It’s an open question whether leaders here would want to be out of sync with the power hubs of New York and Washington. And any time-zone decision would need approval from the US Department of Transportation. Jon Chesto can be reached at jon.chesto@globe.com. Follow him on Twitter @jonchesto.